Find new ways to challenge students of all ages and abilities with engaging learning. Get 11 step-by-step visual guides to integrating differentiation into your whole-class teaching, group and independent work, helping you to learn and apply new teaching techniques in minutes. No more searching for new ideas and or working out how to put them into practice. Access Differentiation HOW2s, all in one place, each one of which you can learn and apply straight away. Film yourself practicing these techniques with IRIS Connect. Reflect, tweak and, if you wish, seek feedback to help embed differentiation in your practice. Once you’re seeing an impact on learning use the editing tool to share short clips, modelling these differentiation techniques for your peers. 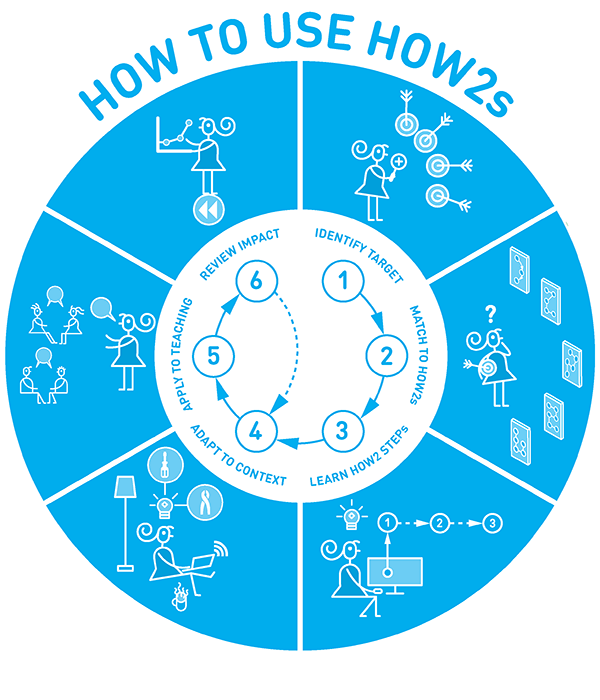 These HOW2s are helpful for teachers of all phases and invaluable coaches giving support to teachers. Subscribe your whole team for $450/ year. Get more information here. Our annual subscription gives everyone with an IRIS Connect account in your organization access to the content and resources in the Differentiation HOW2s Group, whenever they need them.